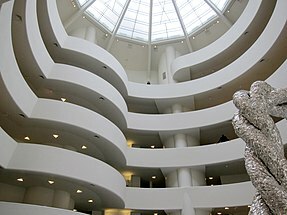 The Solomon R. Guggenheim Foundation is a nonprofit organization founded in 1937 by philanthropist Solomon R. Guggenheim and his long-time art advisor, artist Hilla von Rebay. 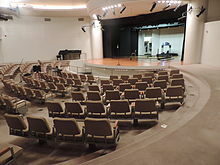 The foundation is a leading institution for the collection, preservation, and research of modern and contemporary art and operates several museums around the world. 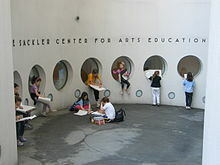 The first museum established by the foundation was The Museum of Non-Objective Painting, in New York City. 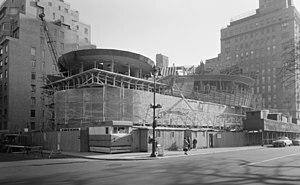 This became The Solomon R. Guggenheim Museum in 1952, and the foundation moved the collection into its first permanent museum building, in New York City, in 1959. The foundation next opened the Peggy Guggenheim Collection in Venice, Italy, in 1980. Its international network of museums expanded in 1997 to include the Guggenheim Museum Bilbao in Bilbao, Spain, and it expects to open a new museum, Guggenheim Abu Dhabi, in the United Arab Emirates in 2017. Hildegard Anna Augusta Elisabeth Freiin Rebay von Ehrenwiesen, known as Baroness Hilla von Rebay or simply Hilla Rebay, was an abstract artist in the early 20th century and co-founder and first director of the Solomon R. Guggenheim Museum. She was a key figure in advising Solomon R. Guggenheim to collect non-objective art, a collection that would later form the basis of the Solomon R. Guggenheim Museum collection. 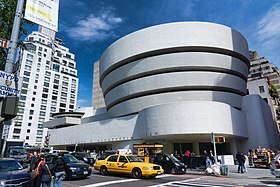 She was also influential in selecting Frank Lloyd Wright to design the current Guggenheim museum, which is now known as a modernist icon in New York City. Solomon Robert Guggenheim was an American businessman and art collector. He is best known for establishing the Solomon R. Guggenheim Foundation and the Solomon R. Guggenheim Museum in New York City. 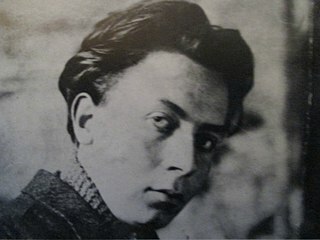 Alexander Georg Rudolf Bauer was a German-born painter who was involved in the avant-garde group Der Sturm in Berlin, and whose work would become central to the Non-Objective art collection of Solomon R. Guggenheim. Sidney Jonas Budnick was an American abstract artist. 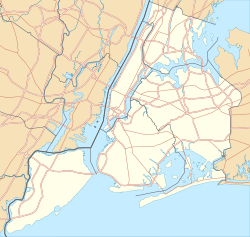 He was born and raised in New York City. Thomas Krens is the former director and Senior Advisor for International Affairs of the Solomon R. Guggenheim Foundation in New York City. From the beginning of his work at the Guggenheim, Krens promised, and delivered, great change, and was frequently in the spotlight, often as a figure of controversy. The Deutsche Guggenheim was an art museum in Berlin, Germany, open from 1997 to 2013. It was located in the ground floor of the Deutsche Bank building on the Unter den Linden boulevard. 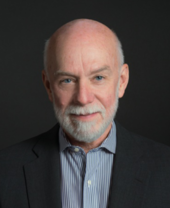 Richard Armstrong is an American museum director. 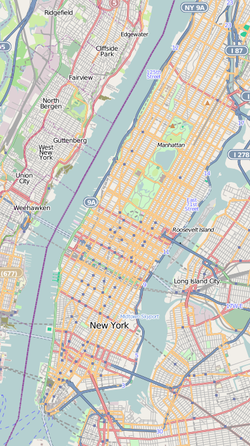 Since 2008, Armstrong has been the director of the Solomon R. Guggenheim Foundation, including the Solomon R. Guggenheim Museum in New York City and its other museums throughout the world. Before joining the Guggenheim, he was a curator at, and then director of, Carnegie Museum of Art in Pittsburgh, Pennsylvania. From 1981 to 1992, he had been a curator at the Whitney Museum of American Art. Grrrrrrrrrrr!! is a 1965 oil and Magna on canvas painting by Roy Lichtenstein. Measuring 68 in × 56.125 in, it was bequeathed to the Solomon R. Guggenheim Museum collection from Lichtenstein's estate. It depicts a head-on representation of an angry dog growling with the onomatopoeic expression "Grrrrrrrrrrr!!". The work was derived from Our Fighting Forces, which also served as the source for other military dog paintwork by Lichtenstein. Au Vélodrome, also known as At the Cycle-Race Track and Le cycliste, is a painting by the French artist and theorist Jean Metzinger. The work illustrates the final meters of the Paris–Roubaix race, and portrays its 1912 winner Charles Crupelandt. Metzinger's painting is the first in Modernist art to represent a specific sporting event and its champion. Brooklyn Bridge is a 1915 painting by the French artist, theorist and writer Albert Gleizes. 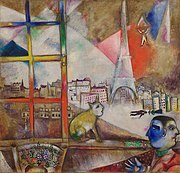 Brooklyn Bridge was exhibited at the Montross Gallery, New York, 1916 along with works by Jean Crotti, Marcel Duchamp and Jean Metzinger. Still Life: Flowers is an oil on canvas by Pierre Auguste Renoir in the Thannhauser Collection at the Guggenheim Museum, New York. 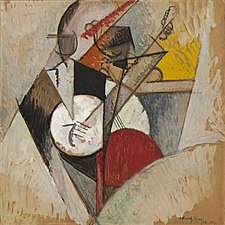 Composition for "Jazz", or Composition , is a 1915 painting by the French artist, theorist and writer Albert Gleizes. 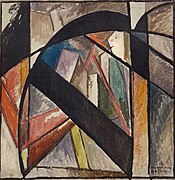 This Cubist work was reproduced in a photograph of Gleizes working on the painting in the Xeic York Herald, then published in The Literary Digest, 27 November 1915 (p. 1225). Composition for "Jazz" was purchased in 1938 by Solomon R. Guggenheim from Feragil Gallery, New York and forms part of the Solomon R. Guggenheim Founding Collection. 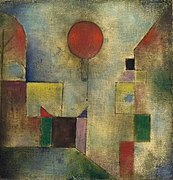 The painting is in the permanent collection of the Solomon R. Guggenheim Museum in New York City.